You Need Car Finance without Credit Check! Really? Concept Car Credit > Our Blog > blog > You Need Car Finance without Credit Check! Really? It is easy to see why they would ask. And yet, it is also curious. For one, did you know that many leading financial experts are adamant that credit ratings tend to be overrated? That they’re, in fact, of no relevance to your car finance application? 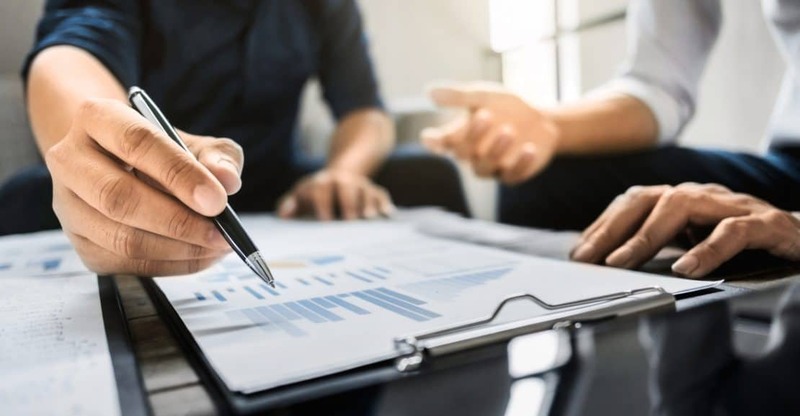 To add to the confusion, applications with excellent credit ratings are occasionally refused, while some with seemingly mediocre ratings are accepted. First off: Do you even know your credit status? Although many UK car buyers are afraid of credit checks, desperately few actually know their current credit status or what affects it. In this expansive feature, we’ll shed some light on the situation. First, we’ll explain what credit checks really entail and why you need to rethink your approach to them. We’ll show you some of the most common options for car finance without a credit check – and why they’re usually not a great idea. In the second part, we’ll expand on the idea that you should stop worrying about credit checks but instead embrace them. We have plenty of Tips on how to improve your chances of getting approved and thereby avoiding predatory bad credit car loans. If you’re looking for affordable car finance, you’ve certainly come to the right place. At Concept Car Credit, we can offer affordable in-house financing even if you’ve already given up hope. What matters to us is not that you have a ‘perfect credit history’ or ‘good credit’. What counts is that you can repay the loan – nothing more. It is only to this end that we’ll use a credit check. And even if we do, our credit check may not always look the way you’ve come to expect it. 1. What is the goal of a credit check? 7. Is car finance without credit check disreputable? 8. What is part of a credit check? What is the goal of a credit check? All in all, credit checks may not be a perfect tool. But as you’ll quickly see, they are nothing to be afraid of, either. We hardly ever stop to think about what a credit check is really for. After all, isn’t that plain and obvious? A credit check, it would appear, is all about assessing risk. And clearly, the higher the risk of you defaulting on a loan, the lower your credit rating. Let’s follow this train of thought for a bit. If it were true, then a credit check is an instrument for car finance providers to separate the wheat from the chaff. 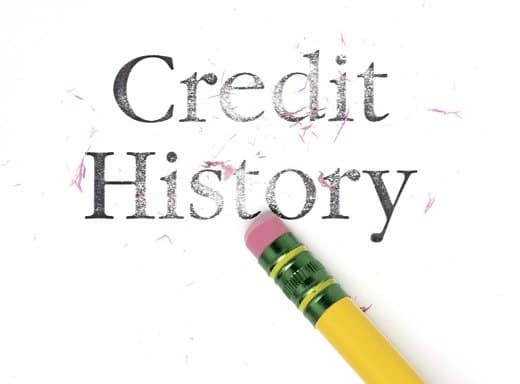 They’ll take a look at your finance history to assess whether you’ll be able to pay off the credit. Based on the outcome, they’ll calculate an interest rate that reflects the risk of lending to you. If the risk is negligible, the interest rate of your loan will be low. If it’s too high, you’ll get rejected. And that’s all there is to it. And if this were so, how does this explain the admittedly bizarre fact that some applicants with an excellent rating are refused, while others, with an outwardly problematic rating, can drive off the lot with a new vehicle? The explanation is that risk does play a role in car finance. But it is not the only or even the main driver. What car finance providers are interested in is making as much money on you as possible. As long as lenders believe you will be able to pay back the loan – or even just enough of it for them to make a decent profit – they have an incentive to borrow you the money. Ironically, it is sometimes easier to get a decent return on an investment if the risk of you defaulting on the loan are slightly higher. The higher your risk of defaulting, the higher the annual percentage rate of the loan (APR) can be. And the higher the rate, the higher the profit. Some customers with excellent ratings, on the other hand, have such a perfect credit history that they hardly make lenders any profit. Will they be able to earn enough money for the loan to be profitable? On the upside, this means that you may be able to get credit despite your bad rating. On the downside, it means that you get more than you bargained for. After all, a bad credit rating really can be a sign that you won’t be able to pay back the loan. And the consequences of defaulting can be dire. We could stop here and simply urge you to be cautious when looking for car finance without a credit check. But it is really important for you to read on. Over the next paragraphs, we’ll show you how easy credit can be an issue. And we’ll explain why a thorough, honest credit check can actually be useful for you. A lot of the reasons for this relate to how the car finance market has radically changed – sometimes for the better, more often than not for the worse. Yes, you’ve read correctly. Although the world economy has faltered, it is a lot easier to get car finance today than it was ten years ago. You would usually pay a downpayment for 10-20% of the overall purchase price. A bank or dealer would lend you the remaining sum. You would buy and own the car outright. You would pay off the loan in monthly instalments. In 2018, this so-called ‘personal loan’ is no longer the standard in the industry. It has been overtaken by an entirely different scheme called a Personal Contract Plan, or PCP. On the upside, you don’t need to make a downpayment and your monthly instalments are much lower. On the downside, you don’t own the car outright. Instead, a PCP contract typically runs for three years. After it has elapsed, you can either buy the car by transferring the outstanding sum. Or you can move on to a new car with the same dealer. It Sounds Like Great News – but actually, it’s a Problem! PCPs have mostly been considered an issue for dealers. If a dealer wants to blow caution to the wind and offer car finance to almost everyone, that’s their problem, after all, isn’t it? PCPs have also been portraid as a danger to the entire UK economy – although whether or not this is actually true remains disputed. The thing that really matters, though, is that PCPs can be detrimental to you. Firstly, unless you plan to actually buy the car after the lease has ended, you are more or less locked into a cycle of renewing your contract every three years. This means that if you spot a great offer for a different car elsewhere, you won’t be able to make use of it. Also, if you default on the loan, the dealer will simply take back the car and sell it on. It doesn’t matter that you’ve diligently made all of your payments before – once you can no longer afford your instalments, you’re left with absolutely nothing. This is why credit checks make sense for both parties. Yes, dealers and banks can hold them against you if your rating is bad. Yes, they may and will use them to make you pay higher interest rates if you’ve been in financial trouble in the past. But in doing so, they will also protect you against making expensive mistakes. In some cases, as much as you would like to get a car, it really is better to wait a little longer, until your finances have improved again, before committing to the purchase. This applies, for example, if you’re still in bankruptcy procedures or if you’ve had CCJs in the past. In a nutshell, the lower your credit rating, the higher the interest rate on your loan. And the higher the interest rate, the higher your chances of defaulting on the loan. So, guaranteed loans are a bad idea, then? A guaranteed loan is the true no credit check car finance deal. They are often offered by so-called non status lenders. These do not subscribe to the official rules of financing and are therefore more free to offer unconventional loan models. Non status lenders have been a wind of fresh air to the industry. They have questioned established dogmas. They have given wider access to financial means to the needy. But when it comes to guaranteed loans, they have also exploited the hopes and needs of too many households. No one is going to give you anything for free. And no company can establish a long-term business on a model that sees its customers constantly defaulting on their loan. Guaranteed loans are exceedingly expensive. This means that they you’ll eventually have to default on your loan or end up with sky high interest costs. And none of these options sounds particularly enticing. Payday loans are another, comparatively new financial option at your disposal. Over the past years, they have received quite a bit of media attention. Most of that reporting has been on the dangers of the tool. And truth be told, the warning are not unwarranted. Payday loans are similar to guaranteed loans in the sense that they, too, usually do not require a credit check. Conceptually, however, they are quite different. 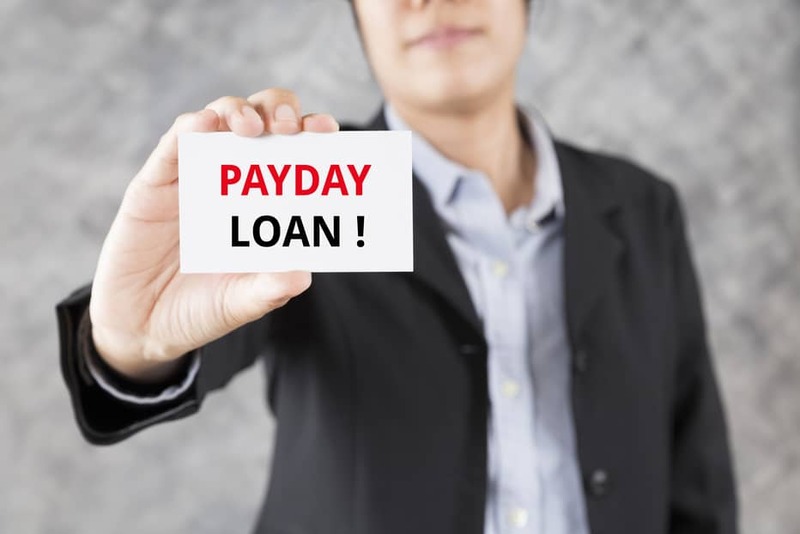 Originally, payday loans were short-term loans intended to fill the occasional financial hole just before your salary cheque at the end of the month. The idea was that taking out a fully-fledged personal loan was far too cumbersome. Plus, most banks simply weren’t interested in lending just a few hundred Pounds. Interest rates for a payday loan are high. Very high, to be precise. But that wasn’t a problem, since you could repay the credit just a few days later. It was a simple concept that made daily life a lot easier for many households. Payday loans were great when all people would use them for was doing the groceries. Recently, however, more and more people have shown interest in using payday loans to finance bigger, longer-term projects. This is not what they were intended for and payday loan providers have rightly been criticised for this. Buying a car with a payday loan is a particularly bad idea. Since interest rates for payday loans are sky high, you will pay even more than with a guaranteed loan or any other bad credit car loans. Even some guaranteed loans are potentially cheaper. And as with any other loan, there’s a significant risk: If you can not repay the loan, you may face bankruptcy. Payday loans were never intended for car financing – don’t make the mistake of treating them like they were. Using a credit card for car financing sounds very American to our ears. But in fact, of all the options to avoid a personal loan, this is one of the best. Which is not to say it’s a good idea. Most of us simply use our credit card as a more secure debit card. In fact, they are based on an entirely different concept. As the name suggests, credit cards were introduced to quickly finance larger purchases without the hassle of applying for a loan. Car financing is a great example of this. Instead of applying for bad credit car loans, you simply use your card to finance the deal. And you won’t have to worry about your credit history. As an additional benefit, credit card purchases are automatically insured. This even applies if only a small percentage of the price has been paid by card. This makes it a far safer method than any other type of loan. So what’s wrong with using a credit card for car finance? Technically speaking, buying a car with your credit card is possible. But it is still expensive, even compared to a personal loan. The higher the price of the car, the longer you’ll have to repay interest on it. And thus, the costlier the car becomes. How bad is your credit rating actually? Your credit status is a pretty fundamental piece of information. So you’d assume that every one knows it by heart. In fact, the exact opposite is true. Even though it is theoretically possible to freely obtain your rating from one of the leading UK rating agencies, the majority of UK citizens have no clue as to their current credit status. And very few know what steps they can take to improve their rating. If you’re seriously interested in getting a car loan, you should at the very least know your credit rating. On top of that, it will also help to know what’s in your credit report. After all, your credit rating is just one element among many others that make up a credit check. Is it disreputable for a lender not to perform a credit check? According to many ‘reputable’ dealers it is. According to them, if you apply for car finance and the lender does not perform a credit check, this is a sign that something’s wrong. Granting every applicant a loan regardless of their financial situation is indeed unprofessional and should make you think twice. But that’s not necessarily the case if a dealer is promising you ‘no credit check car finance’. Mostly, what they mean is that they won’t look at your credit report or -rating as the main reference. This, in itself, does not need to be disreputable by default. This is because there are many other elements that can inform the decision to grant or reject an application for car finance. In and of itself, a credit rating is nothing but a number. Even a credit report will tell you only part of the story. Lenders need to know much more than what’s included in the credit report. And they will, as you’ll find out in the next section, often ask more. Credit rating agencies have already started to adjust their models to reflect this. So, it is by no means impossible to offer car finance without a credit check and still end up with meaningful results. 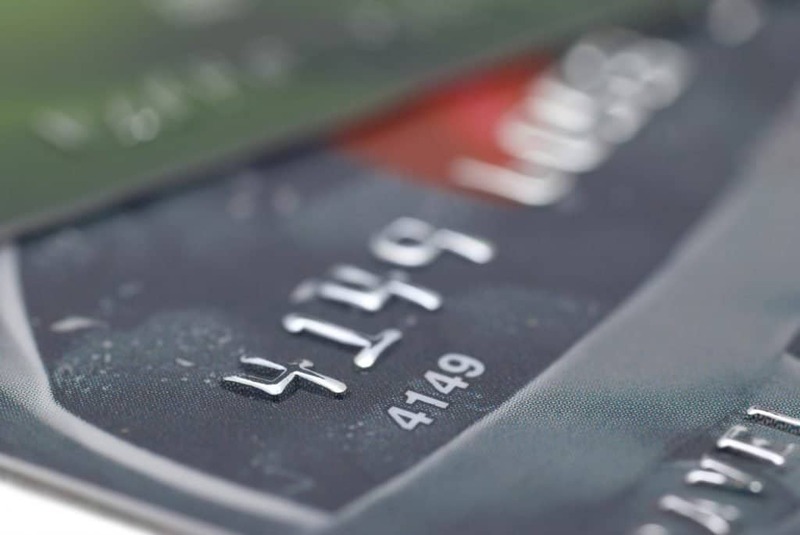 What is part of a credit check? When you apply for car finance, the credit rating and credit report are never the whole story. The nature of your current employment situation, i.e. whether you have a job or if you’re out of work. If you’re working full- or part-time. If you’re working for a company or self-employed. Your salary and the income to debt ratio. This provides some insight on how much money you actually have available each month to pay off your loan. The age and model of the vehicle. This is actually a really relevant factor. If you should have to default on the loan, after all, the lender will usually claim and sell the car. The newer and the more popular the vehicle, the higher the chances of getting a good price. Don’t take credit ratings to be more than they are: A piece of information about your financial status. Credit reports, on the other hand, can make meaningful statements about your current financial situation. But they are never the full story. Despite their flaws, credit checks are one of the most useful tools for deciding on your car finance application. Reputable dealers will always perform some kind of credit check. This does not, however, need to include checking your rating or report. You should definitely try everything in your power to improve your chances for a successful credit check. Let’s now take a look, therefore, at how to do just that. Just improve your credit rating and you’ll pass any credit check with flying flags? If only things were as simple as that! 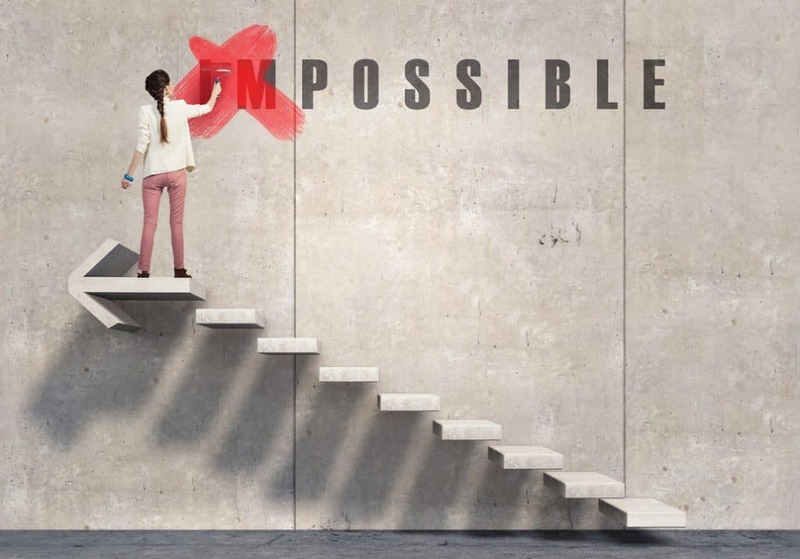 Even if you’re in a financial rut, however, there are still plenty of things you can do to at least get back on track again. Keep your balances low: This speaks for itself. Reducing debt should be your top priority. Every little bit counts! Stay within credit limits: In fact, the emphasis here is to to stay ‘well’ within your credit limits. Even if you’re not technically making new debt, always using up your maximum monthly credit amount will make you seem financially weak. Limit Credit Applications: This is a well-known fact, which is sadly all too often ignored. Don’t ‘shop around’ and limit your applications to three in a period of half a year. Set up direct debit: Automatic payment processes assure you’re never late with payments. This is a simple and incredibly effective way to improve your rating. Even making all the necessary payments on time won’t help you if there are problems with the numbers in your report. The first thing, therefore, is to insure that all the information on your report is correct. You wouldn’t believe how many car finance applications are turned down because of factual errors! Also, make sure you’re registered to vote. Lenders want to verify your personal information. Your name on the electoral roll will help them do this. Many self-help tutorials on car finance often deal mainly with improving your income situation. This is a fair point. After all, the more you earn, the more debt you can pay off. And the less debt you have, the better you will look for potential lenders. However, the way you’re handling your debt is far more important than getting a better salary. This is because how you handle your debt is showing a bank or a dealer what they can expect when providing you with car finance. This sounds pretty obvious, right? Strangely enough, very few people actually take this option into consideration. It is easy to see, why: Cars are emotional products. And as such, we often want what we just can not have. However, if you are in real need of a vehicle to take you to work or as part of the job, you will need to get your priorities right. It is a fallacy to believe that smaller, less prestigious cars will make you look bad in the eyes of a potential employer or customer. Instead, they will make you look as though you value quality above striking appearances. And that’s usually a good thing. In practise, this will mean looking for dealers with a wide selection. Decide on which car you want and don’t let yourself be talked into getting a more expensive one. Your wallet will thank you for it. When it comes to car finance without credit check, dealers have sadly racked up a somewhat shady reputation. Buy-here pay-here in particular is often associated with predatory interest rates and troubling details hidden in the fine print. No wonder many car buyers are wary of getting a loan with them. In fact, bhph dealers are perfectly reputable and buying a car with them can turn out to be an excellent strategy. Simply put, Buy-Here Pay-Here is another term for in-house financing. With bhph dealers, you can get bad credit auto loans directly from the dealer if you buy both the car and finance with them. This has plenty of advantages for both sides: The car dealership can make money from both sales. And you can get a great credit without having to deal with a bank. It is true that there is a fine line between the black sheep and a decent offer. Everyone with a bad credit history, however, should at least give bhph a chance. It sounds perfectly logical: If you do not have good credit and don’t want to resort to bad credit auto loans, why not just opt for car leasing? With car leasing, you’re not but buying a car, but instead you’re renting it for a limited amount of time. And you save yourself the trouble of car finance without credit check to boot. This means: Lower monthly rates, a new car every three years and you no longer have the hassle of a loan application. Every car dealership has a car leasing program these days, so there is plenty of choice. And in terms of your chances of getting accepted, the requirements for your credit score are not quite as strict as with a traditional loan. That said, the benefits of car leasing can be deceptive. Purely on an interest rate basis, leasing is usually the most expensive option, if you eventually buy the car. And if you don’t, you’re locked into a cycle of new cars indefinitely. This is not to say that car leasing is always problematic. But especially if you have a bad credit history, it’s certainly no panacea. 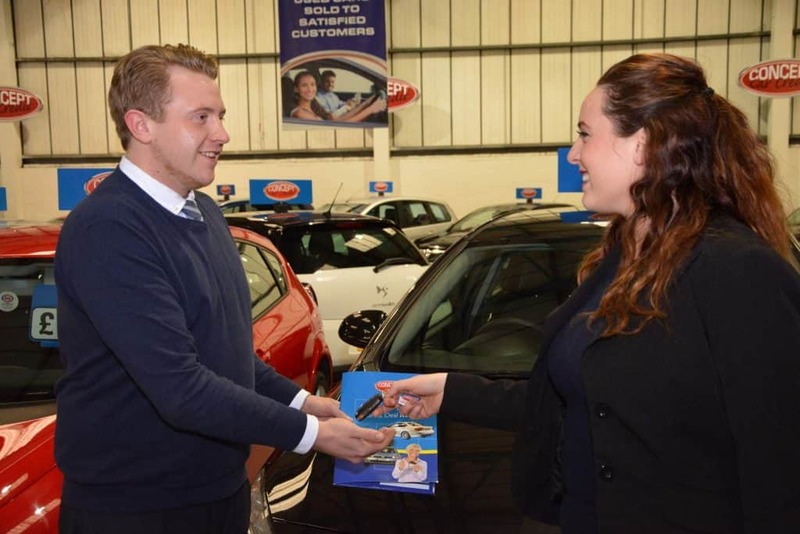 Thanks to the popularity of PCPs, a new car has come within the reach of thousands of car buyers across the UK who never thought this was possible. PCPs can indeed be unbelievably cheap. And yet, a pre-owned car is still always your best option. This is, ironically, at least partly because PCPs have saturated the market with great, affordable used vehicles. But it is also because a car always loses most of its value within the first year after its purchase. Dealers factor this loss into their PCP contracts, too. What’s more, getting a used car with a bad credit history has a far higher chance of success than a car loan application for a new car. Many three to four year old models still feel as good as new. So there’s no reason to be disappointed. We have just given you some ideas about how to improve your credit report and -rating. Now, let’s take a look at alternative strategies that can also add to a better car finance experience. One of the most important steps is to do away with the ‘myth of monthly rates’. Many experts and consumer organisations enjoy nothing more than warning you against the practise of using monthly rates as your decision criteria. So, when a dealer tells you that you can have a loan with monthly payments of 200 Pounds, they will tell you that this is bad, because you should focus on the interest rate of the loan instead. After all, the interest rate tells you how expensive a credit is overall, not the rate. By focusing on the monthly expenses and keeping it as low as possible, you are conversely making credits more expensive, they claim, because low monthly instalments result in a longer lease. This is true in principle. But the experts are forgetting one important thing. Which is that all of this wisdom means nothing if you can not afford a ‘cheaper’ loan, because its monthly payments are too high. In fact, paradoxically, you stand a higher chance of defaulting on a ‘cheap’ short-term loan than you are on an ‘expensive’ long-term one. There is a sweet spot between keeping the overall costs of a loan down on the one hand and only paying as much as you can truly afford each month on the other. This sweet spot depends on your available income each month. And if getting an ‘expensive’ loan helps you secure that income, then you shouldn’t worry too much about spending a higher APR. If you’d like to know more or apply for car finance today, do use our contact form. We’re always happy to help. I would like to enquire about a finance on a car however I do have very poor credit history with defaults on my file. Is there a possibility of still acquiring finance without a credit check, or do you offer cars with “black boxes” ?